Exploring The High Peaks Region of Maine. Sunrise view over the Reddington Forest of the Bigelow Range (left) from Quill Hill in Reddington Township, Maine. Appalachian Trail. 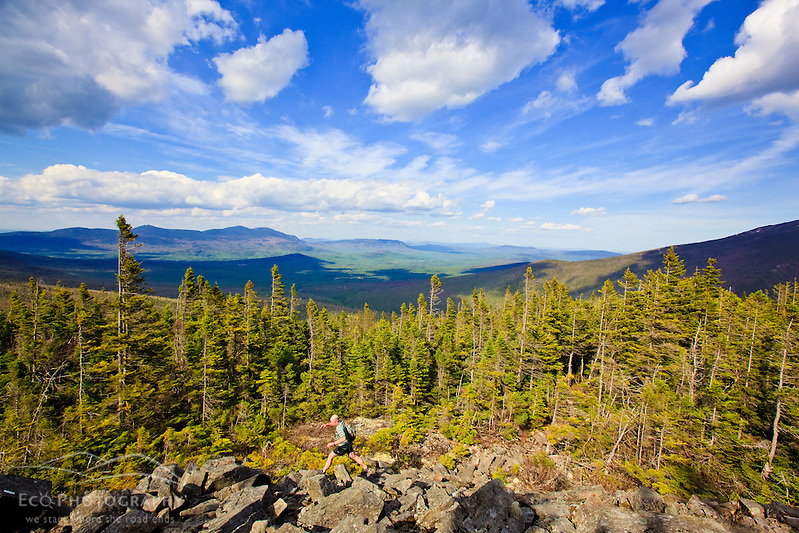 I was excited to be shooting in the High Peaks region of Maine again last week for the Trust for Public Land. 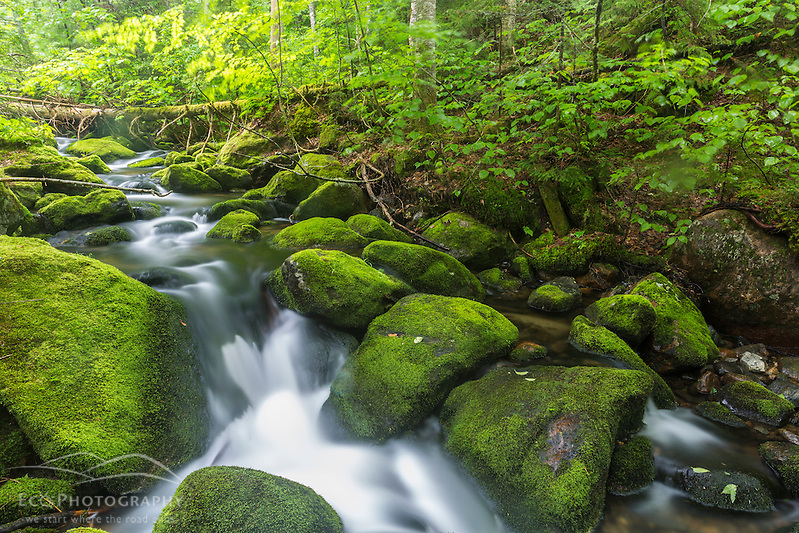 The High Peaks region encompasses more than 200,000 acres of working forest, wilderness, several miles of the Appalachian National Scenic Trail, and more than half of Maine’s mountains over 4000 feet in elevation. I first shot in this area for The Trust for Public Land more than 12 years ago for a project protecting Mount Abraham. A few years ago, I tackled Crocker Mountain (above.) Their work continues, as they work with the High Peaks Alliance to conserve land stretching from Crocker Mountain and Mount Abraham in the east to Saddleback Mountain in the west. In addition to providing jobs in the wood products industry and tourism (in addition to the Appalachian Trail, two downhill ski areas are in this region,) the High Peaks provide important habitat for wildlife such as Bicknell’s thrush, wild brook trout (which can be found in Perham Stream, above) and Atlantic Salmon. 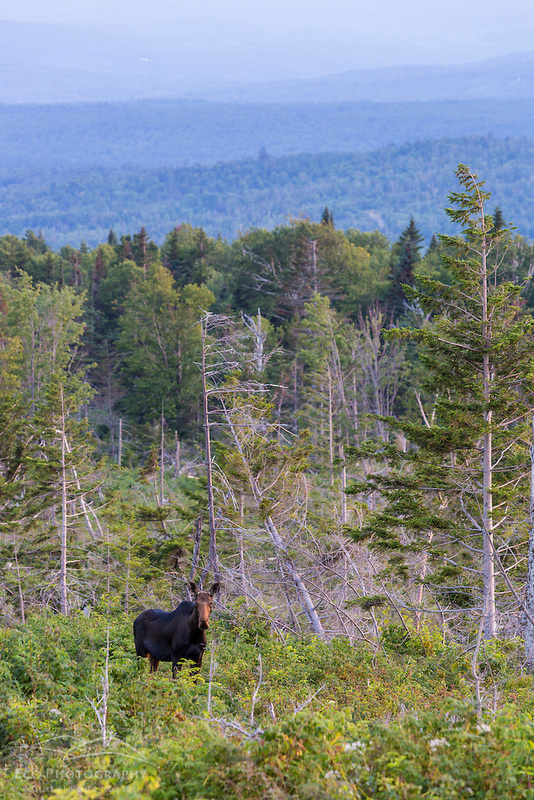 Of course, the area also provides great habitat for Maine’s most famous denizen of the north woods – moose. I’m planning to return to the High Peaks for a few more days this fall. If you have suggestions for places to photograph up there, or you just want to share an experience from this wild part of New England, feel free to leave a note in the comments section below. Thanks! A place that has pretty unique scenery up there is the ‘bushwhack’ over to Reddington from the summit of South Crocker. The bushwhack is really easy with an obvious herd path. The ridge to Reddington had some scenes that reminded me of Montana, and going down the backside towards the road has some really cool old logging roads and pastures that add up to a really nice ‘remote’ feeling. It would be a good place to wander around with a camera.